NICE! 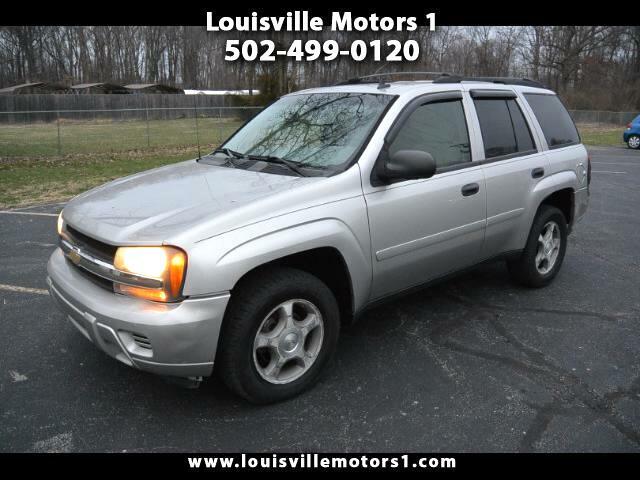 This 2007 Chevrolet Trailblazer LS 4WD is ready to go! Silver exterior with tan cloth interior. Keyless entry, power windows, power door locks, power mirrors, CD player, rear air, dual climate controls, and more! This Trailblazer runs and drives great and is 4-Wheel drive! Come by and see our premium selection of gently used vehicles today!! !